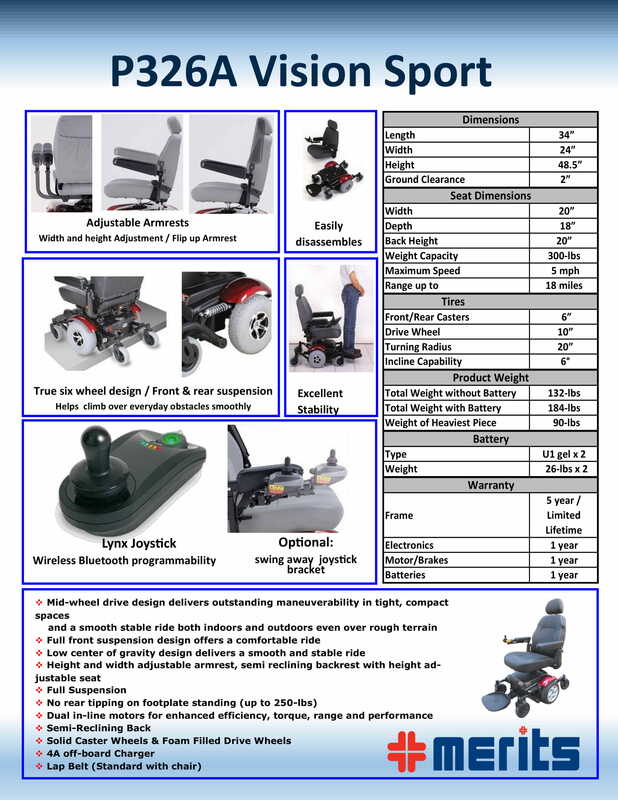 The Merits Vision Super Power Chair has a real mid-wheel drive design for tight space maneuverability. 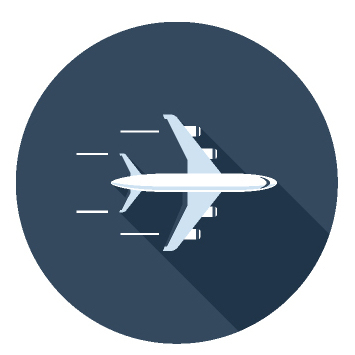 It features a dual in-line motors for enhanced efficiency, torque, range and performance. A full front and rear suspension for easy obstacle climb and enhanced performance on varied terrain. Its 12" knobby tires and optimum weight distribution provide superior traction. 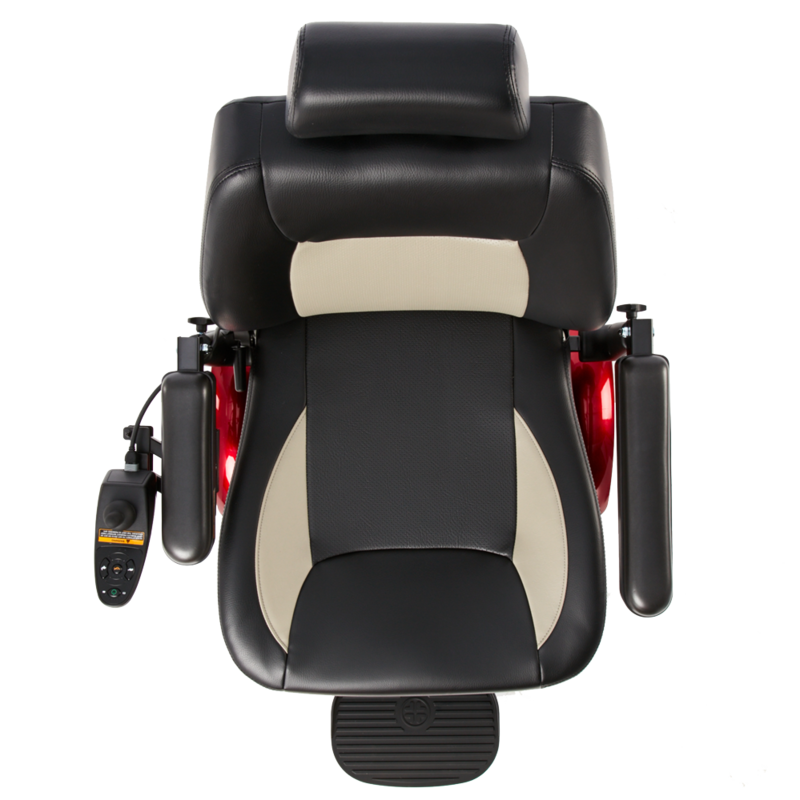 It comes with a dynamic Shark fully programmable controller, and an off board charger and 4-post seat with semi-reclining backrest. 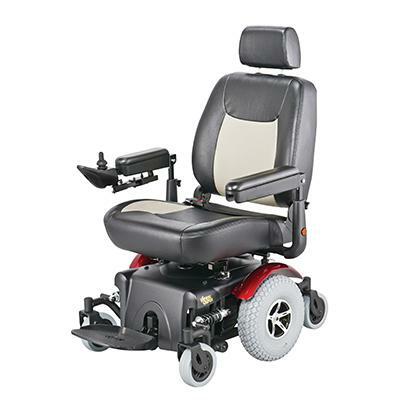 Merits: Vision Super Heavy Duty Power Chair has a rating of 4.9 stars based on 9 reviews. 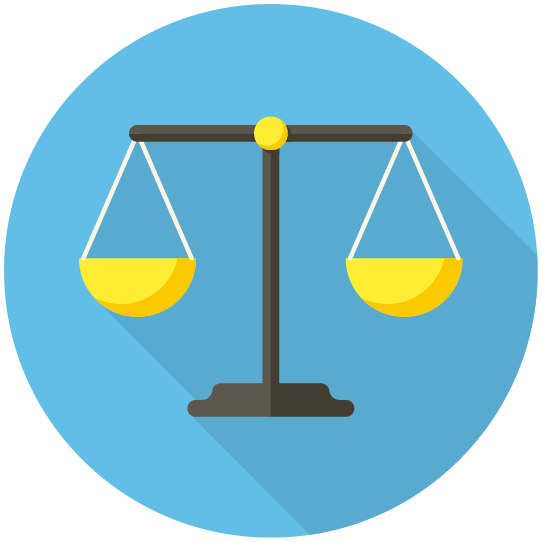 Why Merits: Vision Power Wheelchair? 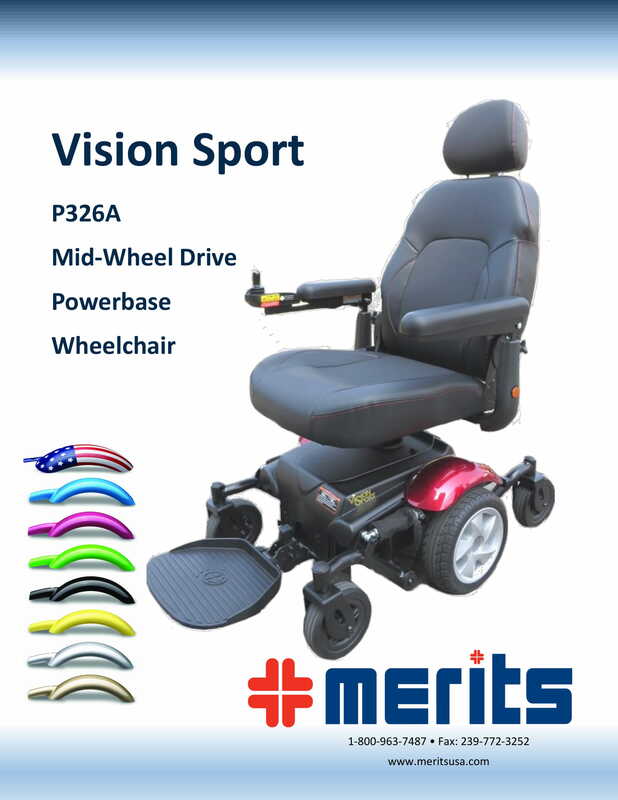 The Merits Vision Super Power Chair has a real mid-wheel drive design for tight space maneuverability. It features dual in-line motors for enhanced efficiency, torque, range and performance. A full front and rear suspension for easy obstacle climbing and enhanced performance on varied terrain. Its 12" knobby tires and optimum weight distribution provide superior traction. It comes with a dynamic fully programmable Shark controller, an off board charger and a 4-post seat with a semi-reclining backrest.